The Georgia Institute of Technology invites you to take a tour of The Kendeda Building for Innovative Sustainable Design (KBISD), which upon its completion will be one of the most innovative and sustainable buildings in the Southeast. The KBISD seeks Living Building Challenge (LBC) certification, the world’s most rigorous sustainable design and performance standard for buildings. To meet LBC requirements, the building will abide by strict construction guidelines as well as operating procedures. For example, the building must produce more energy than it uses on site through renewable sources, as well as collect, treat, and reuse more water than it needs on an annual basis. Some of the building’s technologies, materials, and building practices are a first for the Southeast. The KBISD is the latest example of Georgia Tech’s commitment to sustainability. 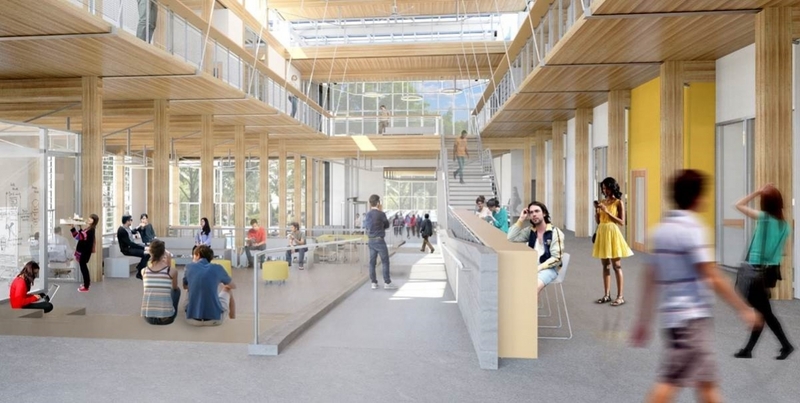 The building will serve as living-learning laboratory for sustainability in order to inspire change on the Georgia Tech campus and across the Southeast building industry.